A national shrine and the top tourist sight in Norway’s third largest city (pop. 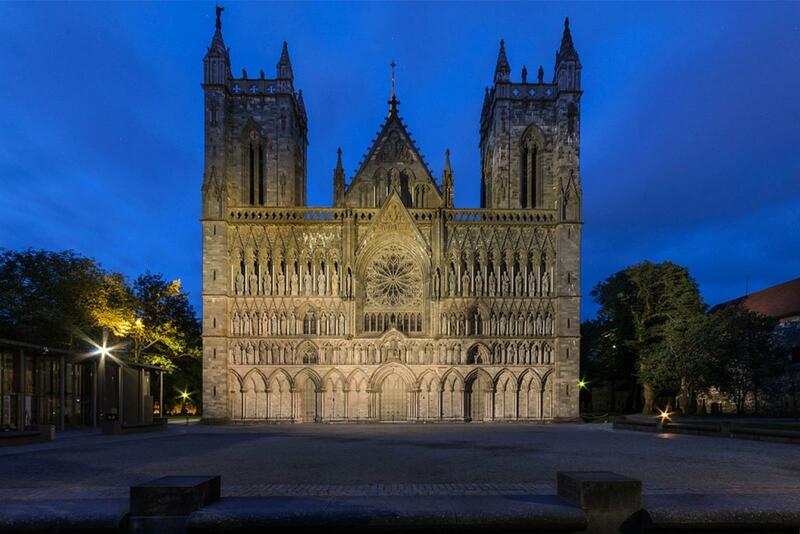 180,000), Nidaros Cathedral is where kings in this Lutheran nation are crowned. Construction on the Gothic-style church, inspired by English cathedrals like Westminster Abbey and Canterbury and Lincoln cathedrals, began as early as 1070 and took 250 years to complete. But work seems to be ongoing, so you’ll probably see scaffolding inside and out as crews repair, renovate and tidy up the imposing landmark. Nidaros Cathedral started as a small Catholic church built over the coffin of King Olav Haraldsson, the Viking credited with uniting Norway into one Christian kingdom. 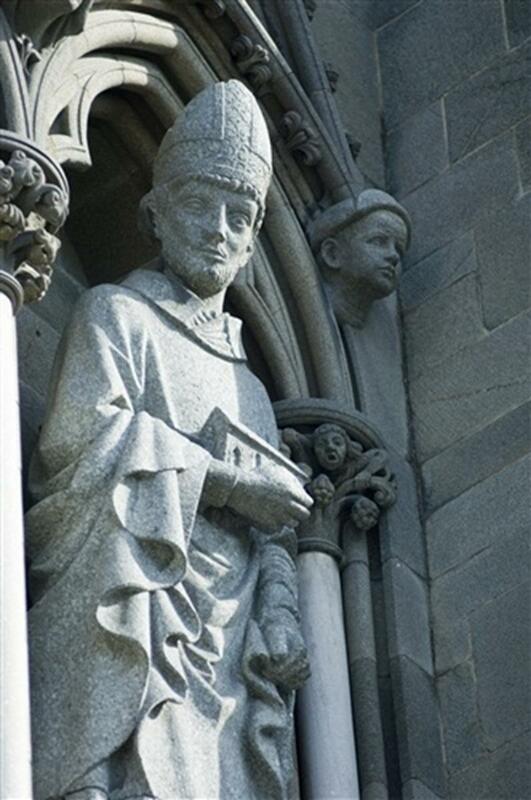 He died in battle about 60 miles from Trondheim on July 29, 1030, and became a martyr. 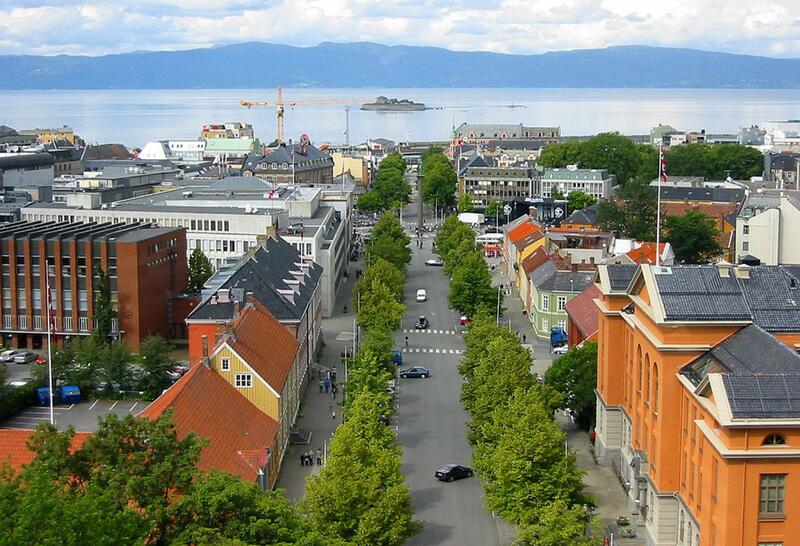 Today July 29 is St. Olav Day, the centerpiece of a week-long festival, Trondheim’s biggest event of the year. A year after Olav’s death, his body rose up from the ground. His hair and nails started growing, he smelled like roses and blood seeped from the wounds on his cheeks. Miraculous healings were reported. So, the body was placed on the altar and pilgrims began trekking to Nidaros (the old name for Trondheim) to venerate Olav, who was canonized in 1030. 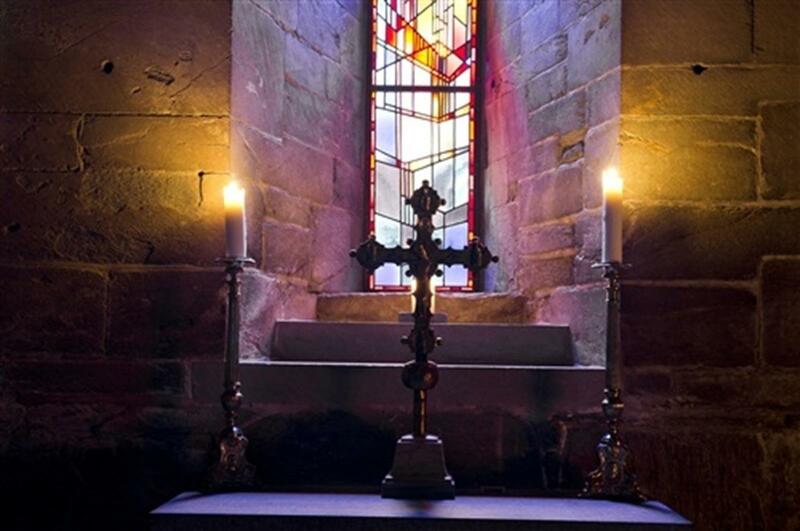 There are many churches, chapels and altars dedicated to St. Olav throughout Europe. During the Reformation 500 years later, the king was buried in a secret place as no Lutheran would worship a Catholic saint. In fact, pilgrimages were prohibited in all Lutheran countries. No one knows the burial location of Olav, but a memorial wall in the church lists the names of nine kings buried underneath, the last one in 1217. A campaign that began in the late 1990s involved signposting and maintaining pilgrimage routes to Trondheim. The first official St. Olav route (from Olso to Trondheim) was opened in 1997 by Norway’s crown prince, and now more than 1,250 miles have been signposted. Many pilgrims walk the route through the mountains, starting at any point they choose, and carry a special passport that gets stamped at places along the way. A network of simple accommodations has been established. The St. Olav trails in Norway connect with marked pilgrimage trails in Germany, Denmark, Sweden and other European countries. Cathrine Roncale, director of Nidaros Pilgrim Centre, said some pilgrims, especially older people, come primarily by bus and walk only the last few blocks. She said four Italians bicycled to Trondheim from Oslo (400 miles) and two travelers came from Sweden on horseback. Roncale said most pilgrims are Protestants, but those of various religions and denominations make the spiritual journey. Each traveler has his or her own motivation, whether it’s for religious reasons, the personal challenge, the exercise or to commune with nature. The typical pilgrim, Roncale said, is 55 years old, a woman and from Germany. For ideas on planning a walking trip on the St. Olav route to Trondheim, visit www.pilegrimsleden.no. Nidaros Cathedral, in addition to its immense size, is noted for its magnificent rose window and the sculptures of saints, prophets, kings and bishops adorning its west facade. Both the window (vandalized by soccer-playing youth) and the west nave’s massive Steinmeyer organ are undergoing restoration and will be re-consecrated on National Constitution Day (May 17) next year. With almost 10,000 pipes, the biggest organ in Scandinavia was built by the G.F. Steinmeyer & Co. of Bavaria in 1930 to commemorate the 900th anniversary of St. Olav’s death. In the meantime, visitors who come on the right day may be treated to an organ recital on the 1770 Wagner organ in the transcept, the only part of the church that retains architectural details from the Romanesque period. Originally, the Steinmeyer organ occupied the transcept, but it was moved to the west nave in 1962. The church is always in big demand as a wedding site. All Norwegians are automatically members of the state Lutheran church, and about three-quarters get confirmed. But Sunday attendance is low–only about 20 percent attend weekly services. A modern, glass-walled cafe/gift shop on church grounds makes a good lunch stop. Grab a window table for views of the dark gray church, with its twin-towered facade and green copper steeple rising from the middle. The shop sells St. Olav statues and books, organ recital CDs, even a jigsaw puzzle of St. Olav in battle. For a fun breakfast or lunch in Trondheim, have the cocoa and waffles at Baklandet Skydsstation, a cozy spot housed in a tilted timber building that served as a tavern and coach stop from 1791-1860. In a small room decorated with antiques and embroidered pictures, slather your fluffy waffles with butter, strawberry jam and a sour cream-like sauce. Then browse the shops in the quaint Bakklandet neighborhood, a gentrified, former working-class quarter across the Nidelva River from the cathedral. Once you’ve visited Nidaros Cathedral, many other attractions await in Trondheim, a youthful city with a large university population. 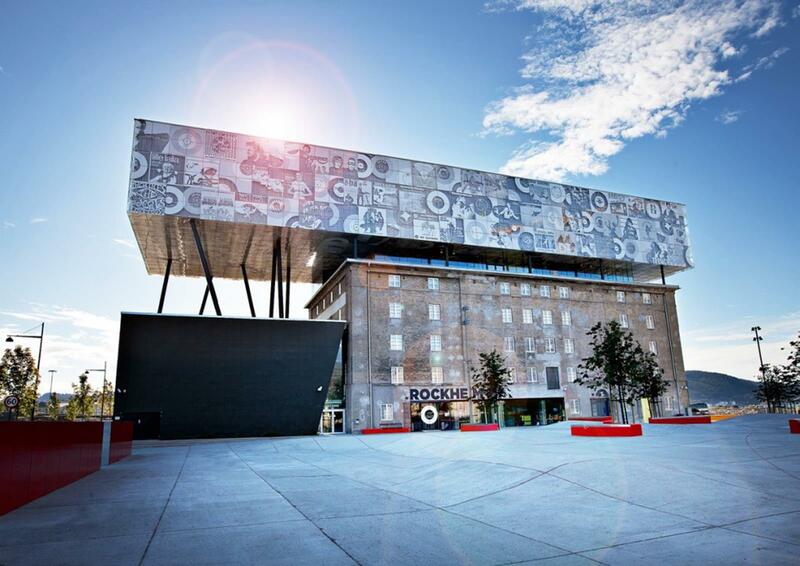 Rockheim, an interactive museum of Norwegian pop and rock music, gives visitors a chance to play music and get in tune with the country’s youth culture. 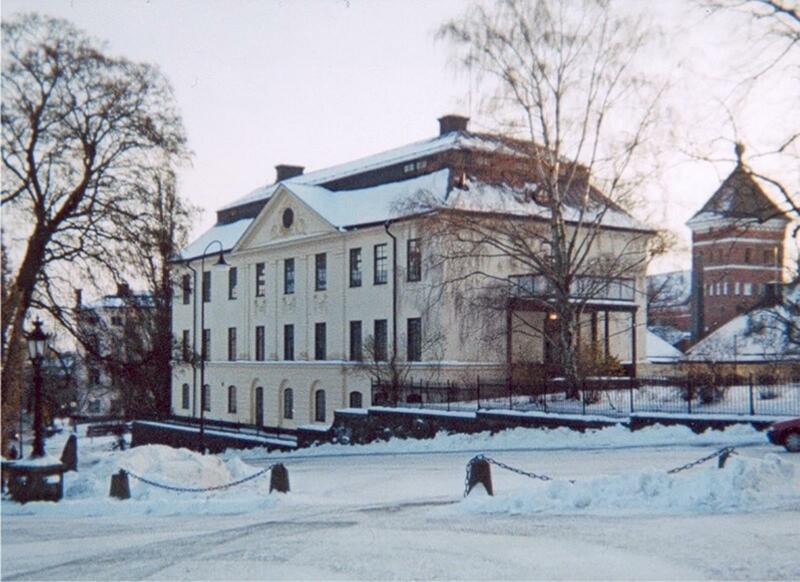 Ringve Museum of Music features a collection of more than 200 instruments from around the world and has a botanical garden as well. 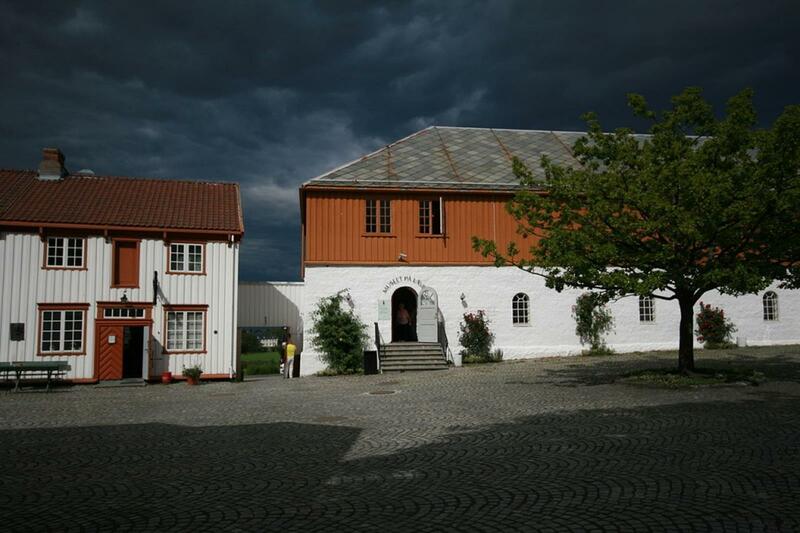 Built around the ruins of a medieval castle, Sverresborg Trondelag Folk Museum is one of Norway’s largest open-air museums. The collection of historic buildings includes a 12th century stave church, one-room schoolhouse, dentist’s office, ski museum and several farmsteads. Exhibits at the Norwegian Museum for the Deaf feature touch screens with content presented in sign language, with audio and text. Housed in a former boarding school for the deaf, it provides insights into the culture, language and history of teaching the hearing-impaired. 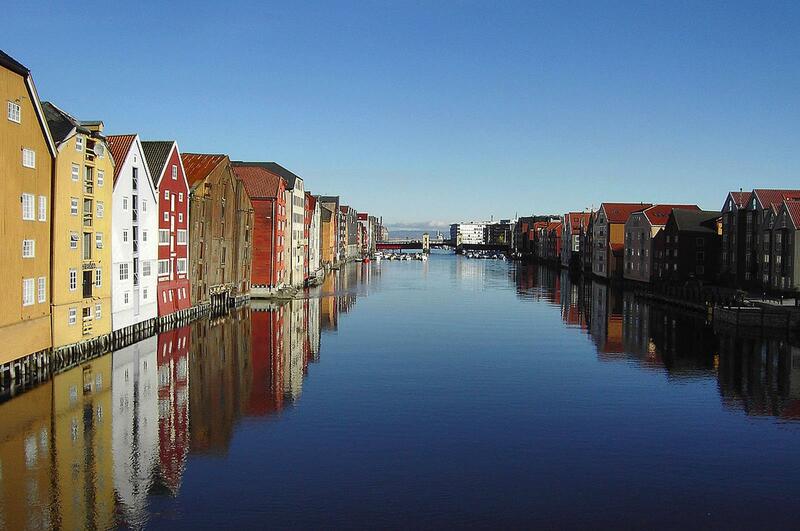 For travel information on Trondheim and other parts of Norway, go to www.visitnorway.com.